The paperless office: just a dream or close to reality? 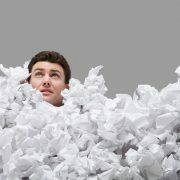 There’s little doubt that a paperless office would offer a wide range of advantages. Converting paper-based file storage systems to a digital system is a highly effective way to solve a number of issues; from inefficiencies in workflows, through to poor productivity and the costs associated with buying paper and printer ink. Despite the fact that a paperless office seems like a no-brainer, it is surprising how many businesses still rely almost entirely on paper. Is going paperless a realistic goal? Space currently used to store paper documents can be freed up to create space for additional staff or simply more room to move around a cluttered office! Efficiency is improved as less time is spend searching through paperwork to find the information you need. When documents are converted into a digital format they can be easily searched, enabling you to pick out and retrieve the information you need at the touch of a button. Security is enhanced as the latest online cloud storage systems are completely secure and safe enough to store even highly sensitive information. Costs are cut, whether in terms of a reduced need for physical storage space, or in a reduction in the amount of money spent on consumables such as paper, toner and filing equipment. Here at PDM we offer a range of cost-effective solutions, designed to help businesses and organisations reduce their reliance on paper documentation. If you would like to find out more about how we can help you cut costs and improve efficiency, why not get in touch to talk through your requirements? https://pro-doc.co.uk/wp-content/uploads/2016/11/paperwork.jpg 633 950 admin /wp-content/uploads/2016/09/pdm.jpg admin2018-08-20 12:03:102018-08-20 12:03:10The paperless office: just a dream or close to reality? Why choose cloud document storage above traditional storage? Increasing numbers of businesses and organisations now reply upon cloud storage. There’s no denying that cloud storage offers significant benefits and in this post we thought we’d explore some of the advantages and disadvantages that it can offer. How important is data control? On-premises storage hardware is usually best suited to businesses and organisations who need or want a high level of control over data and documentation. Choosing the ‘on-premises’ option can help to maximise the performance of various applications, providing increased support in a range of areas including back up capabilities and file system replication. On-premises hardware also offers enhanced direct management of the security and compliance of data, helping you to comply with industry-specific regulations if required. However, choosing to work with a cloud storage provider can offer significant benefits in comparison to traditional forms of storage. Smaller businesses, for example, are likely to discover that even if they have a limited budget, the built-in data management offered by cloud storage proves to be extremely cost-effective. One of the biggest influences on whether cloud storage is right for your business is the ability to store and the ease of access it offers. Cloud storage is likely to exceed the benefits of traditional storage as the systems designed to access cloud data don’t usually have just one point of failure which could bring down the whole system. 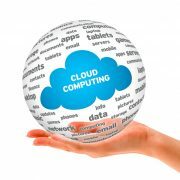 In addition, using cloud storage means that data can be quickly accessed from a number of locations. Despite the fact that cloud storage can present difficulties in terms of latency, traditional on-premises storage which has been configured to provide high-speed availability is likely to prove to be a costly option. There’s no doubt that when it comes to cost savings, cloud storage is the clear winner. By choosing to move to cloud storage, you have the option to buy the right amount of storage for your business, rather than having to invest in expensive hardware – not least in terms of the extra cost of power and storage. Cloud storage is user-friendly, secure and designed to grow as your business grows – providing you with a long-term solution. To find out more, why not get in touch with PDM today?